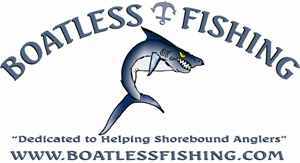 Many months ago during the boatlessfishing forum BBQ, we spoke about a private fishing charter just for boatlessfishing members. Nothing happened until after I went fishing on an Ironman trip ( ten hours fishing on the Reward Won). 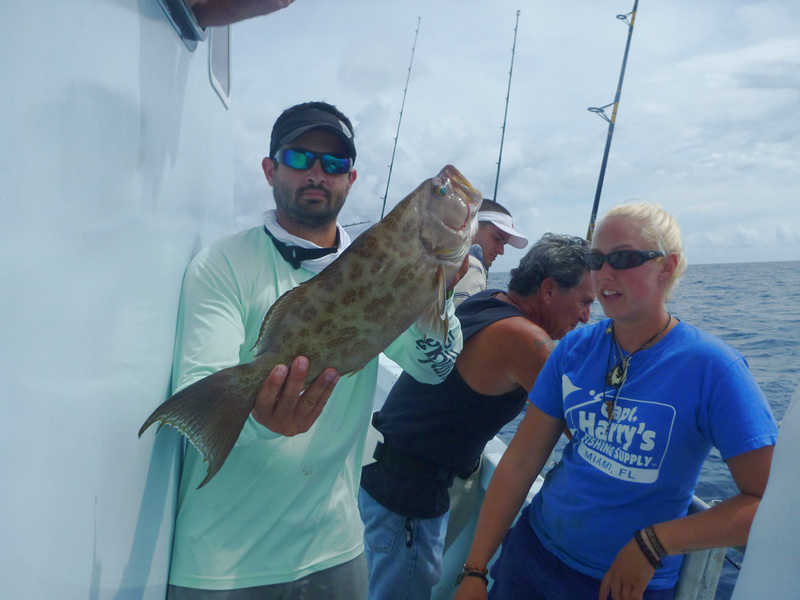 The trip was an all day fishing trip, jigging, kite fishing, trolling for dolphin, bottom fishing for snappers and groupers and king fish flat lining; “A mixed trip”. So I asked Captain Wayne how much a private charter like this would cost. After finding out the cost of the trip I suggested to fish on this boat, the boat can have 15 people while drift fishing but I suggested to have a maximum of 12 to give us all plenty of elbow room to fish comfortably and with less people there would be more chances for everyone to catch a fish. I started the thread about the trip. Some members wanted to fish vertical jigs, some wanted to fish with live baits, and a couple of them were interested on king mackerels (kingfish). 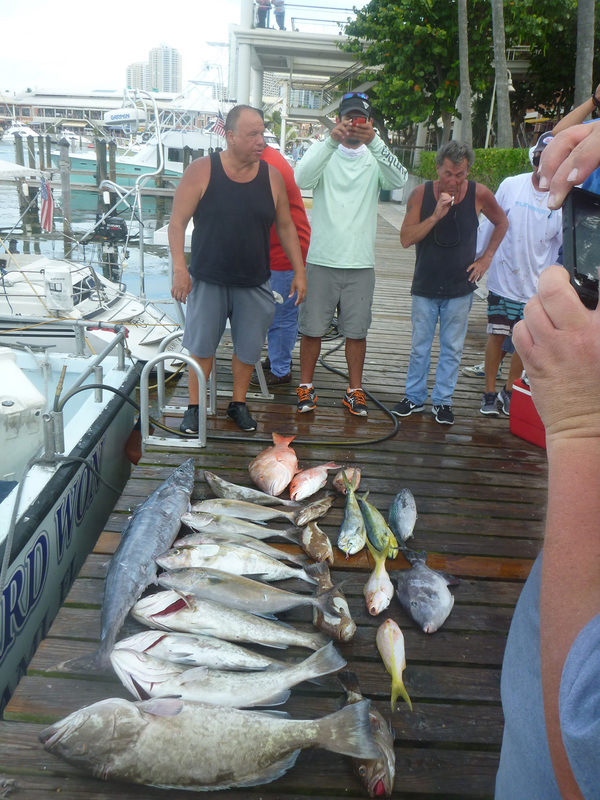 We set a date but later found out one of the Captains was not available to fish on that day and Captain Wayne had another private charter booked, so we moved it a day over. Lady luck was on our side as the fishing trip got us some trophy fish. 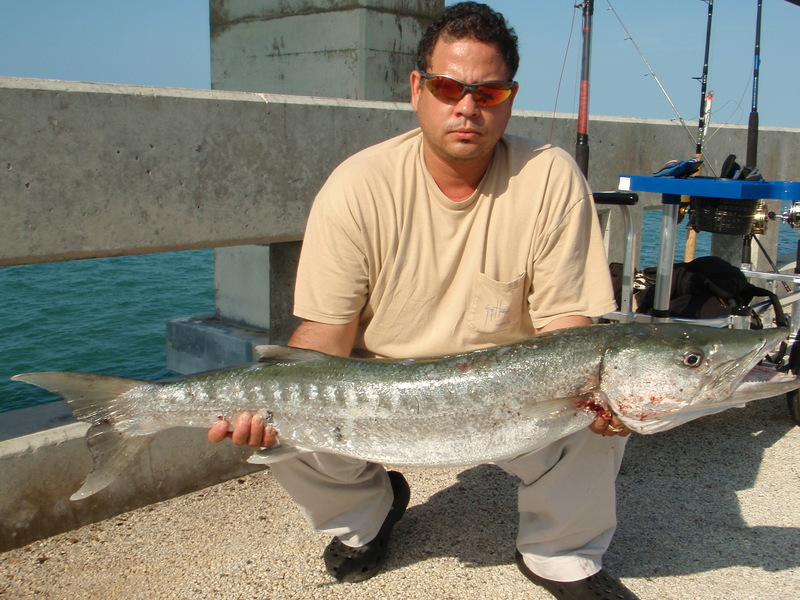 The original intent was to fish live bottom for snappers and groupers, troll in between spots, and then a few wrecks to vertical jig for big amberjacks. When the captain got there he explained that the commercial fishermen had already wiped out the amberjacks and so that would be hard to do, so I asked him to take us where the fish were. I have fished with Captain Wayne at the helm for many years, sometimes once or twice a year and some years up to ten times so I trust his judgement anytime. When he starts to give advise I listen even if I know about it or had done it before, you never know when he will say something I’ve haven’t heard before or give a twist to something I already know. As we waited for everyone to arrive and finish unloading (by this time it was 6 am) he gathered us to give us the fishing plan for the day: We were to go catch pinfish on the way out, fish some ledges, rock piles, wrecks, live bottom and some deep water on the way to Fowey Rocks light house. 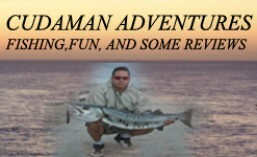 If we made good time we would meet Jimmy the bait man and get some white baits, all depending on how everything went. 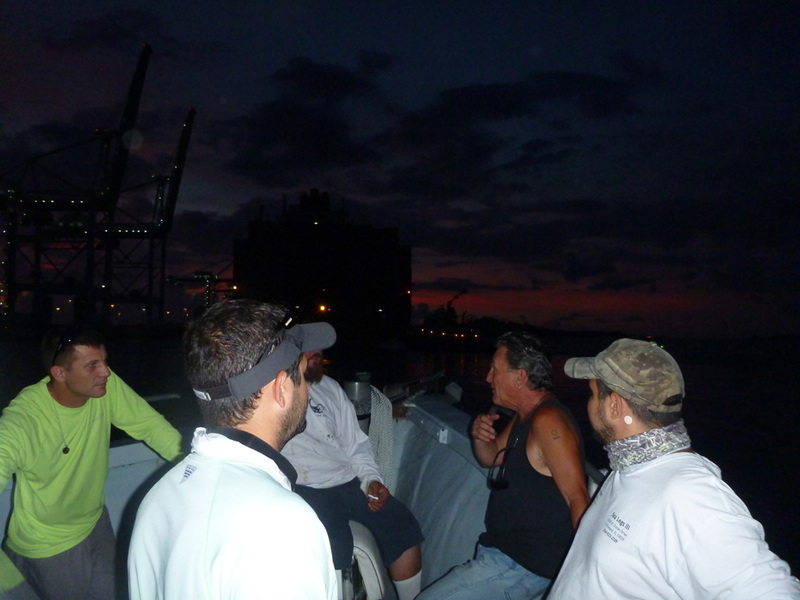 Below on the left is Captain Wayne Conn giving the plan, on the right boatless members talking about their adventures as we are heading out on the boat, it was about 6:20 am. 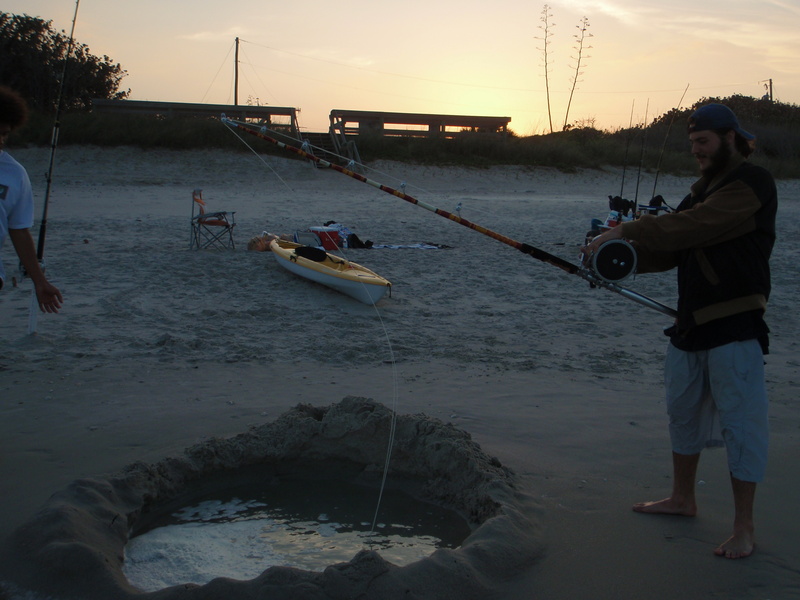 Below on the left catching pinfish for bait. 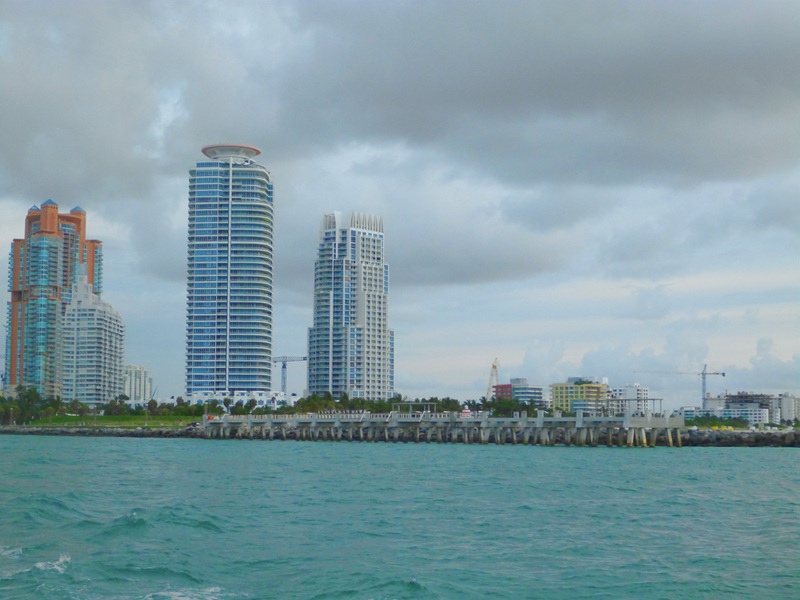 On the right it was 7:30 am when passing by the new South Beach pier (almost completed). On the way out I told everyone to take turns on the trolling rods. One was mine, the other was Richard’s and the another was the boat’s. 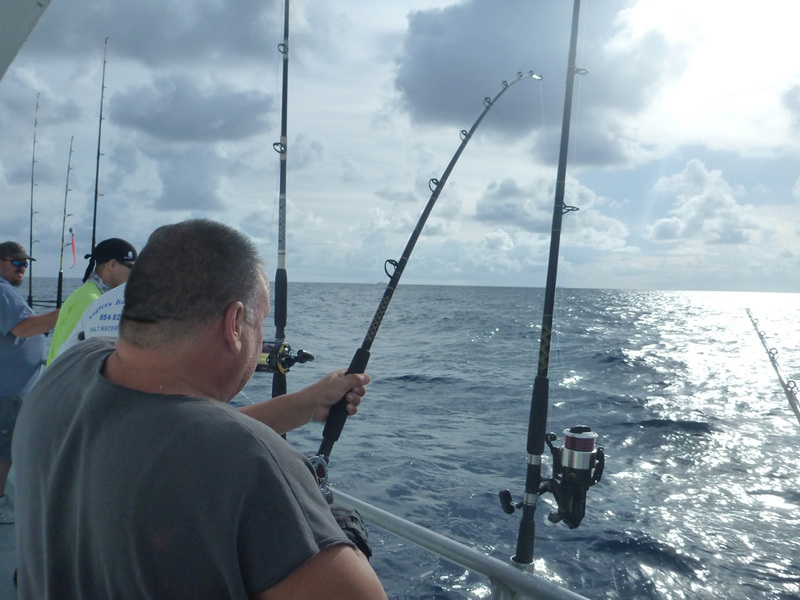 The ride was not as time consuming as catching bait was, we got to the fishing grounds and were in about 130 to 150 feet of water when the Captain said “I am going to adjust the boat for the drift”. Everyone started to drop the baits as the engine shut off and I jigged for that first drop along with Ron, Victor and a few others. A few minutes after the baits were dropped the first rod bends were observed. It was 8:06 am when Jessie had his bent rod fighting a super nice Gag grouper and only 3 minutes later Robert “ffishermen” was fighting a very nice Mutton snapper. The bar was set high at the very start of this trip. 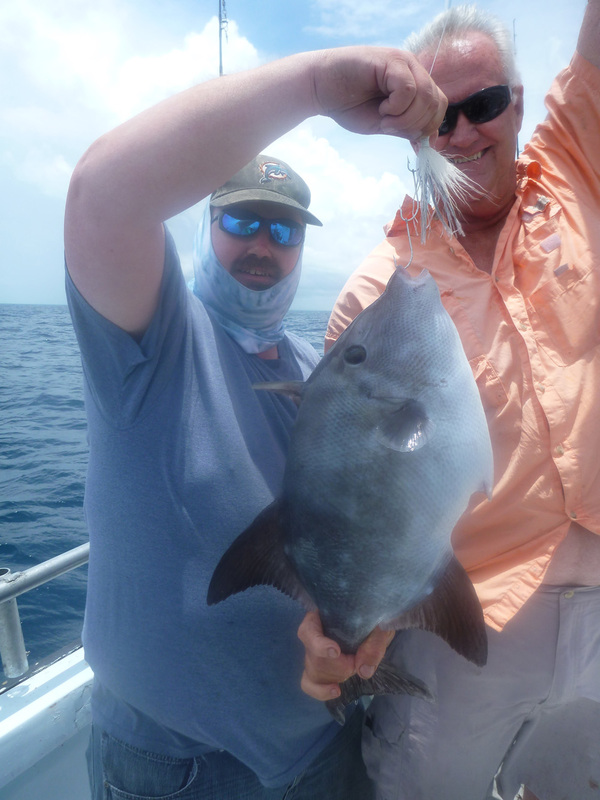 Below is Jessie with his first ever a very nice 21 pound Gag Grouper. Below is Robert “ffishermen” with his nice 12 to 14 pound Mutton Snapper. As the boat drifted away and nothing else on the bite the Captain decided to do a second pass on the same spot. 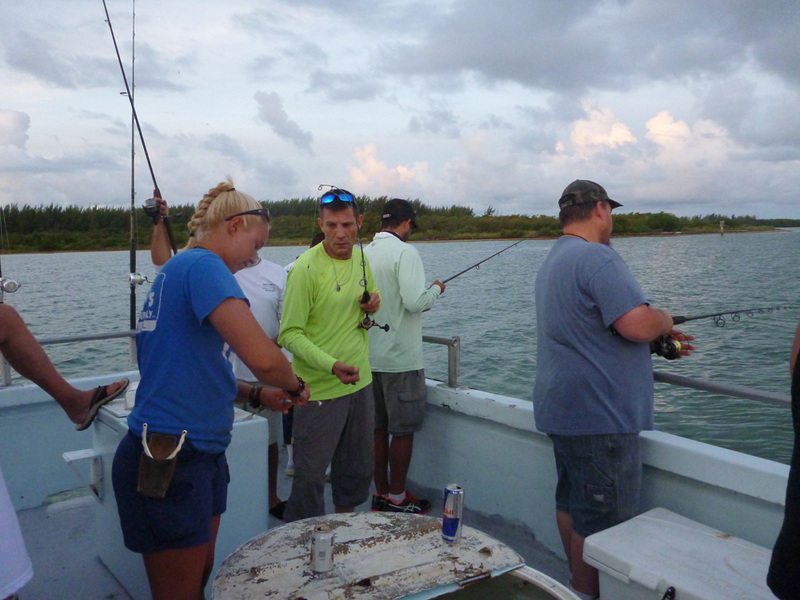 At 8:48 am my son Seth was the first to hook up and then Raul at 8:51, both brought in gag groupers. 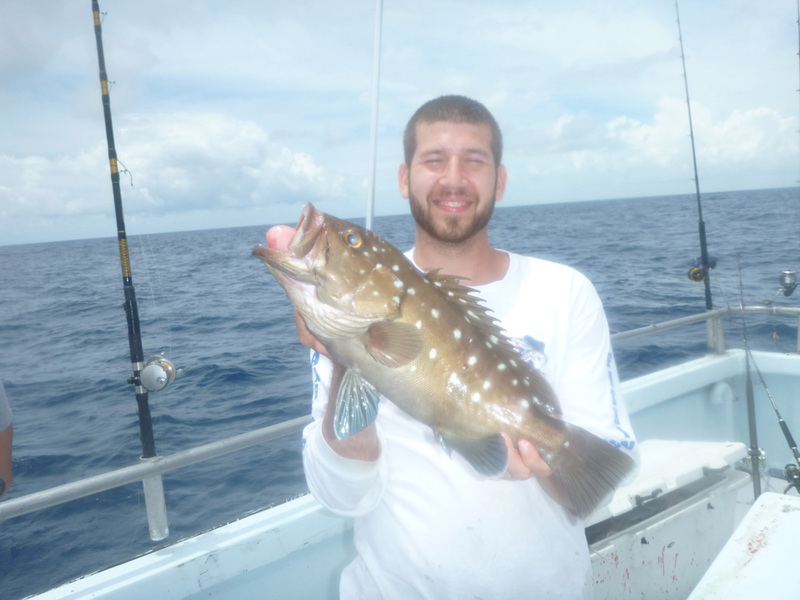 My son Seth and his Gag Grouper. 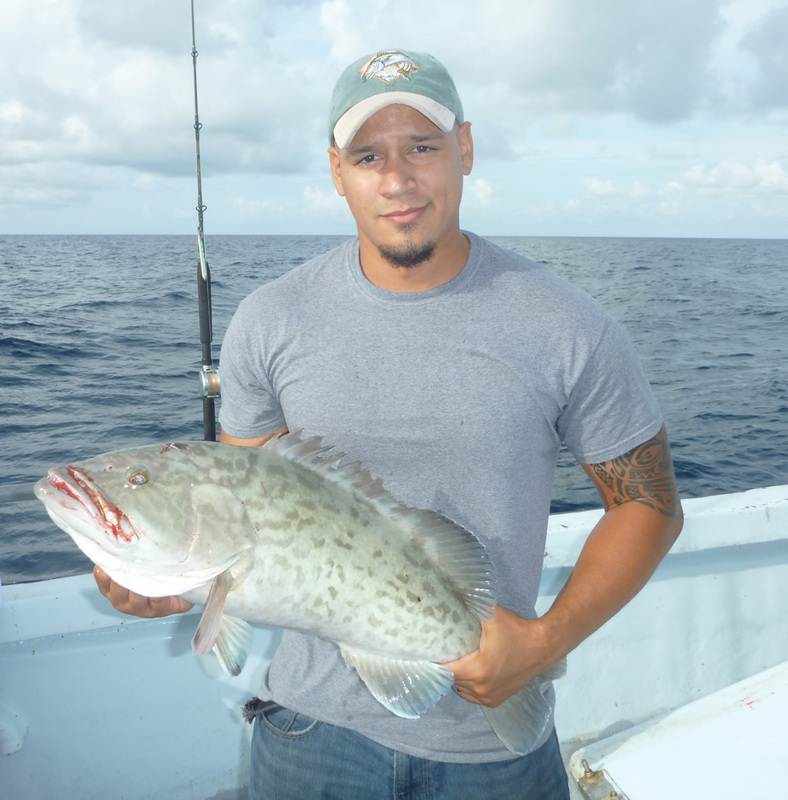 Raul and his Gag Grouper. Again no more bites as the boat drifted and many were already with only 1/4 of a spool left as we leave our reels in free spool trying to maintain the bait in the bite zone (where the boat turned the engines off for us to first drop our bait). This is what many of us call long lining. 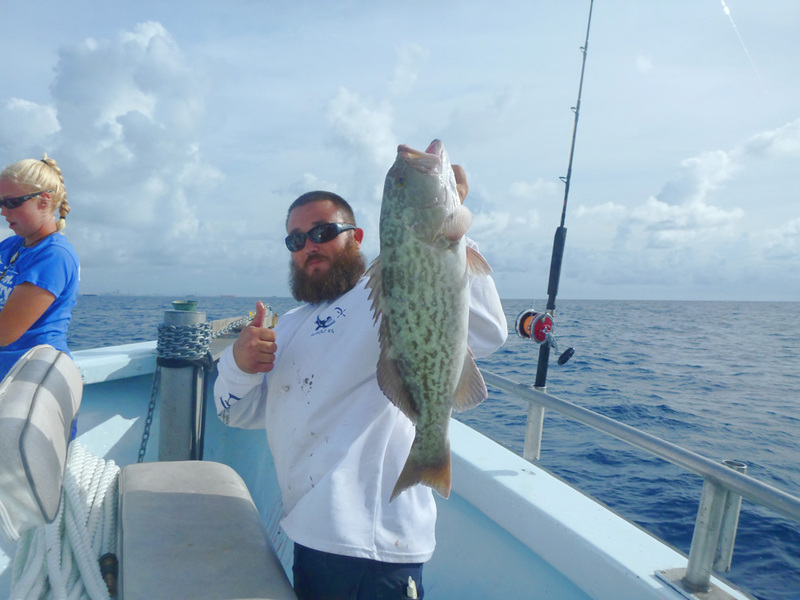 The Captain decided to do a third drift where fishman Joe AKA Gruntking got another Gag Grouper at 9:06 am. 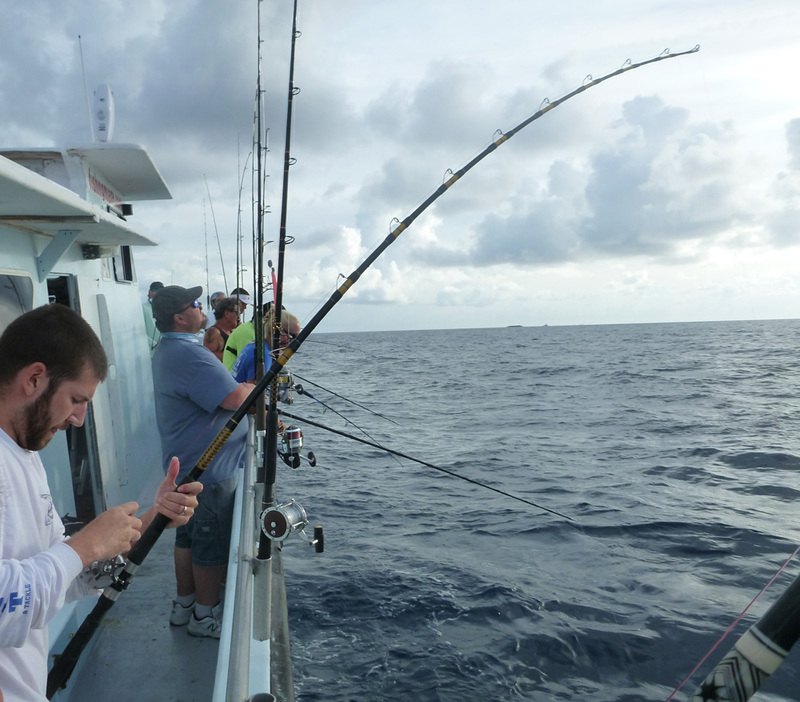 The captain made the decision to move the boat to deeper water looking for the better fish populated spots. 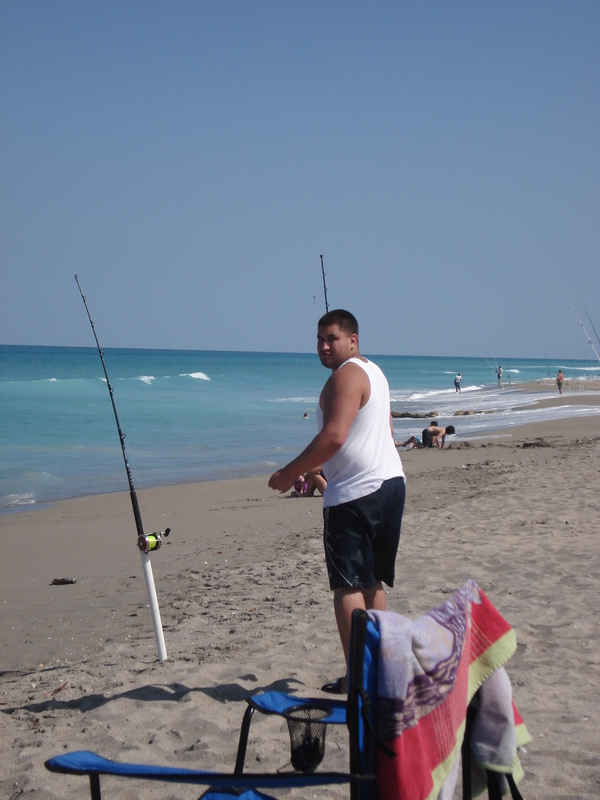 No one was trolling anymore so I decided to put my trolling rod out but there were no takers. We were now in the 200′ to 240′ and many had to up their weights from 6 to 8 ounces to 12 or 16 ounces, some doubling up on sinkers as we did not bring those specific weights. It was all pick a fish here and there and we started to see some scamps come up. Below is Chris with a nice scamp at 10:55 am. I know he will enjoy it very much. 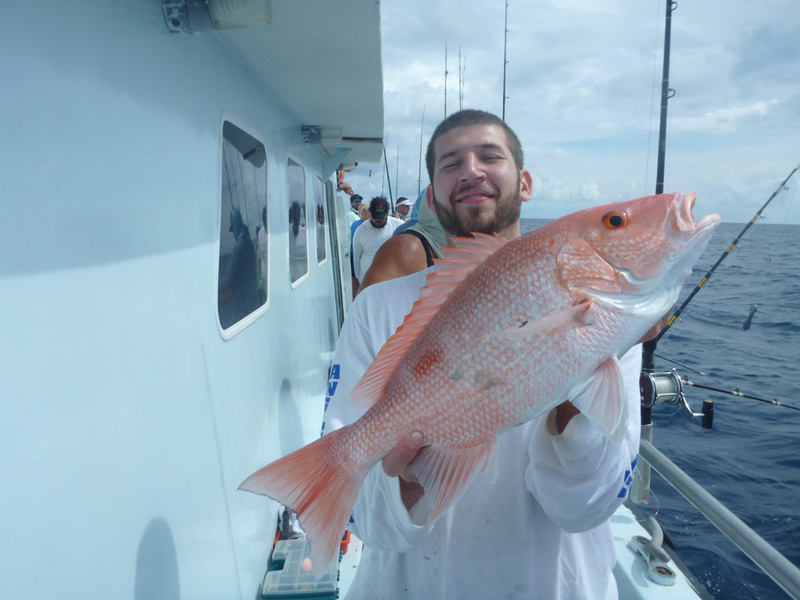 Below is Jessie with his first ever American Red Snapper at 11:00 am. This was the only one caught on this trip. Ron and Victor where jigging and got a few almaco jacks but not many more fish were picked up on several drifts so Captain Wayne decided to go even deeper. 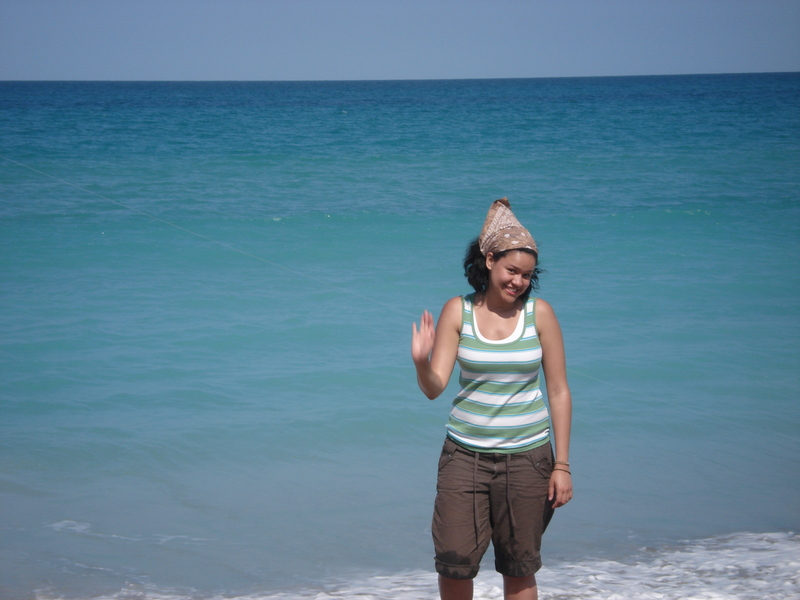 No one was trolling anymore as no fish had fallen for the trolling skirt I was using. I had told Richard to use a pink trolling skirt I had brought and then offered it to others but the lure was left on the bench as trolling was not giving results. 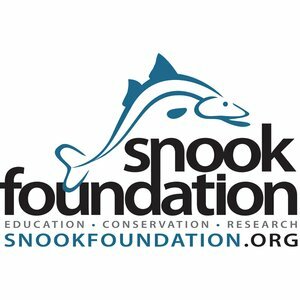 I understood why no one wanted to do so, as you do have to pay attention to the rod and have to make sure to bring the line in every time the captain slowed down the boat and made a few turns around the wrecks looking for fish on the sonar. Ron fighting an almaco jack on a jig at 11:15 am. On the way to one of the spots someone saw a school of peanut Mahi Mahi’s around a vertically floating piece of bamboo and so everyone tossed bait at them. Raul and I were some of the lucky ones to get one that was of legal measurement but the rest would have to throw back a few and so did I. 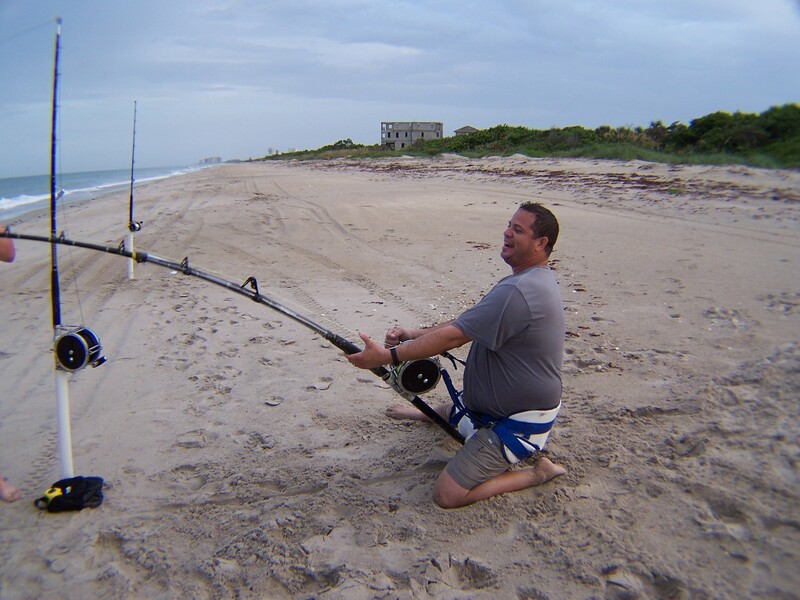 The boat was drifting and since no more fish were taken, I decided I would rig the pink trolling skirt on my rod. Perhaps I could get lucky and get one more dolphin fish I thought. 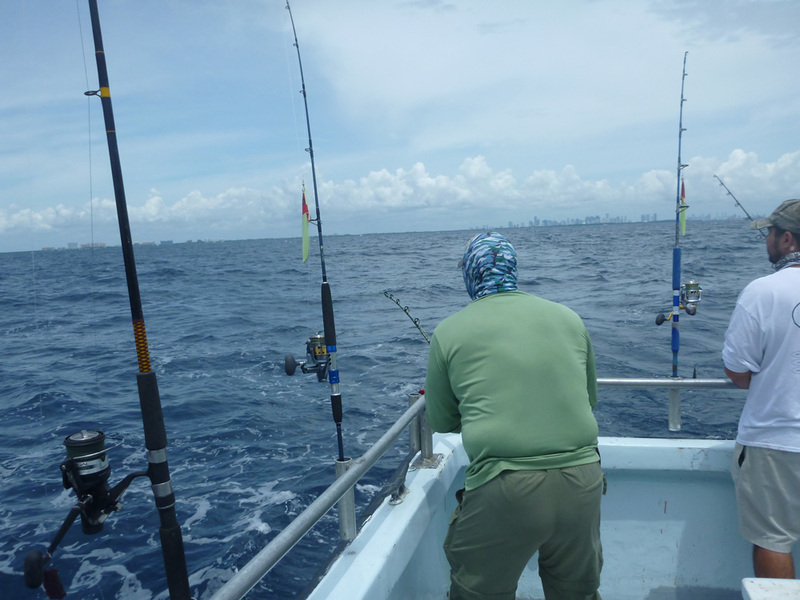 I took the black, purple, and blue skirt that I rigged using 10 feet of 250 lb test wire cable off the 500 lb snap swivel (makes it easy to switch trolling rigs). I use that trolling skirt to target toothy fish like wahoo and blackfin tunas, but sometimes Mahi Mahi get hooked on it as well. I snapped the pink skirt rig on, I had used 10 feet of 100 lb test fluorocarbon leader to a 11/0 3x strong live bait Mustad hook. 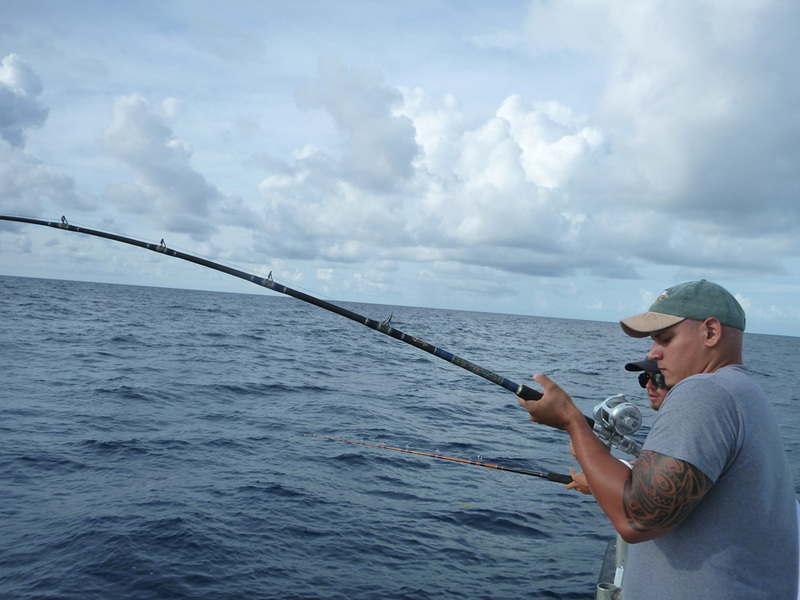 As the boat turned the engines on and started to move I let out the trolling rig and as I snapped the release clip on, I looked to the right I heard a scream and saw my rod bending, I picked it up and let the fish run a bit. 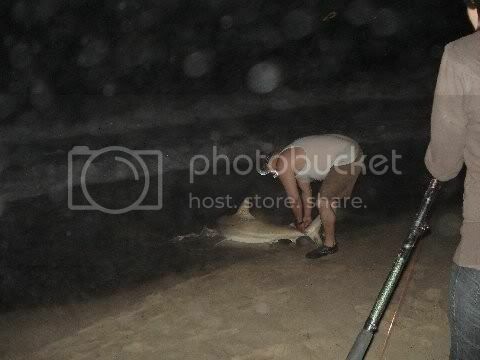 I tightened the drag and started to fight the fish, I saw a big wide flash and screamed BIG DOLPHIN! 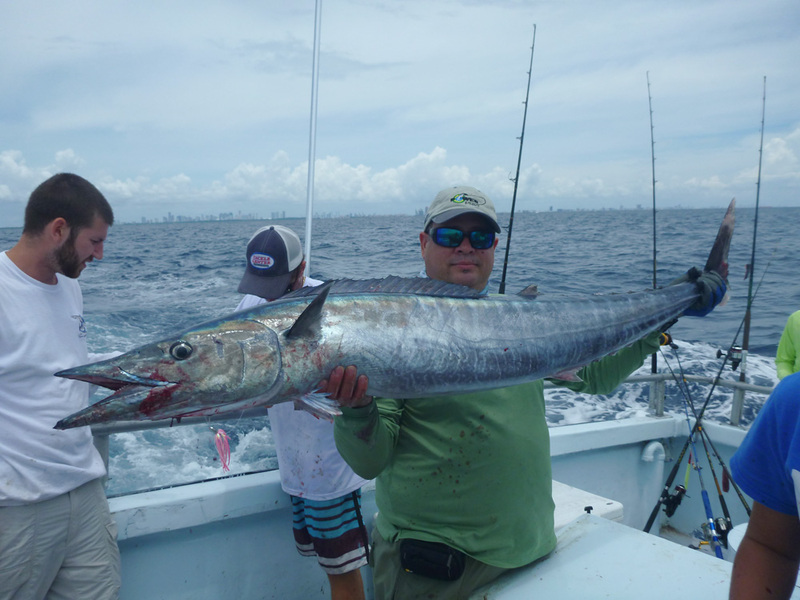 (Mahi), but there was not a jump during the fight, then the mate says “IT’S A WAHOO! IT’S TURNING! BACK THE DRAG OUT!” So I did, this allowed the fish to run and wear it self out and prevented it from breaking or snapping my line. 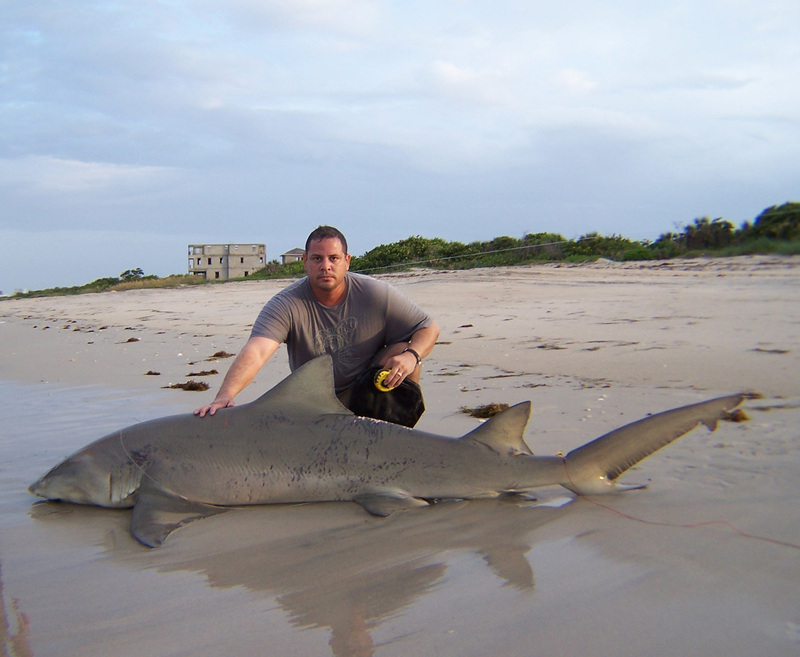 These fish have power and very sharp teeth. The fish made an additional small run and I was able to get it close to the boat for the gaffing. I was lucky the fish did not cut through the fluorocarbon leader. On my boat and while on fishing party boats on the way to Bimini back in the late 80’s and early 90’s I would always get them no bigger than 15 pounds and this time I was able to get double that weight. Me fighting the wahoo at 12:30 pm. 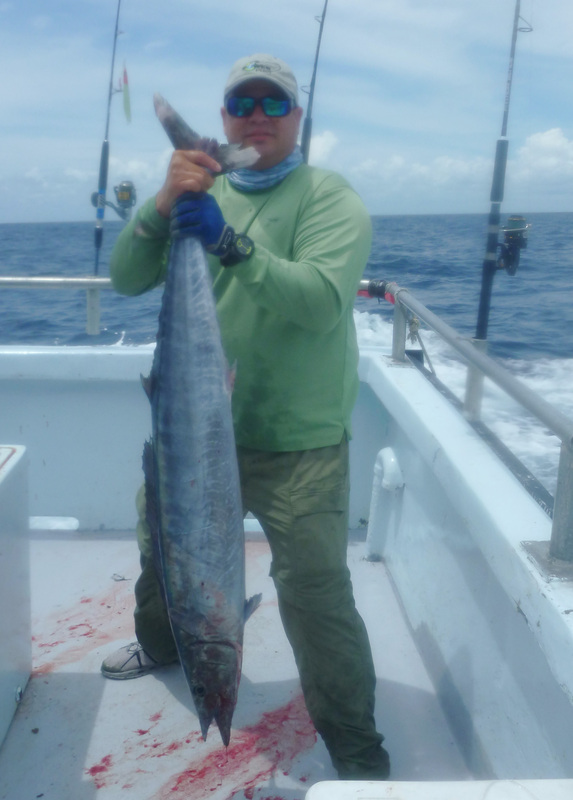 Below are pics of my wahoo. One to show the nice fish. And one to show size comparison. 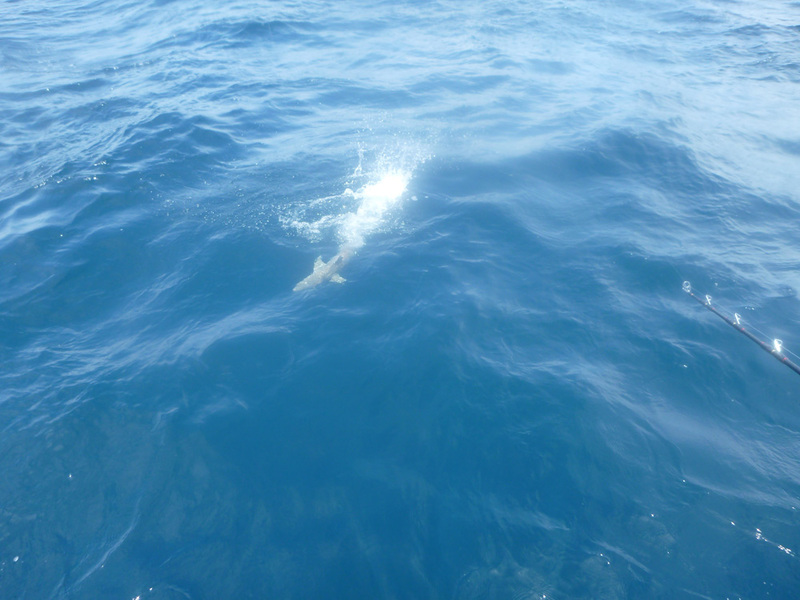 The Captain continued stopping where the fish were but the fish were not cooperating and so he went even deeper. 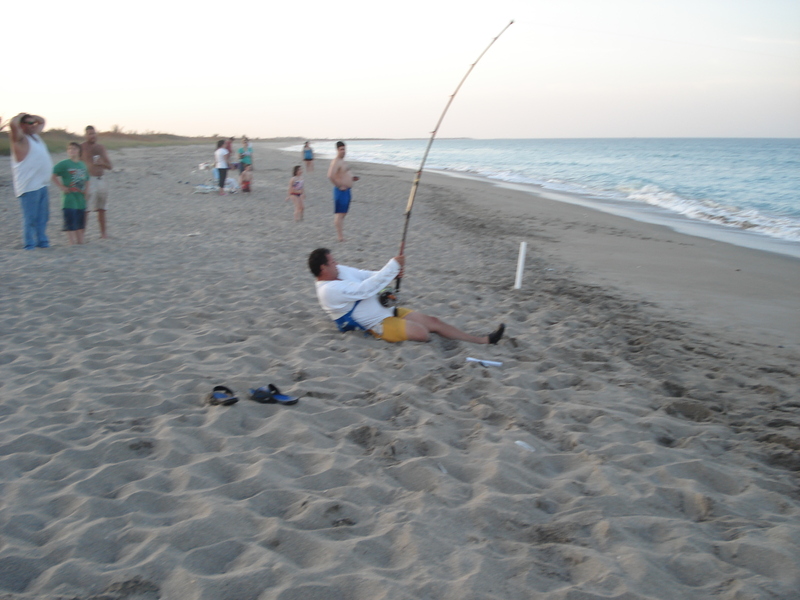 This time to 400 feet where a couple of fish were landed. Jessie again nailed another fish as we has getting ready to bring the bait back on the boat he felt a tug and in the middle of a tangle he was able to land it. 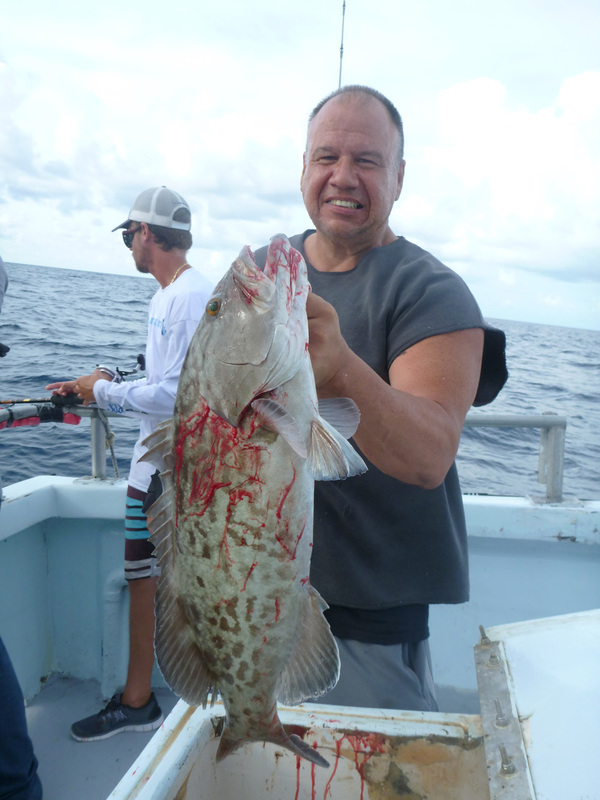 And yet again another first ever for him, a Snowy Grouper! 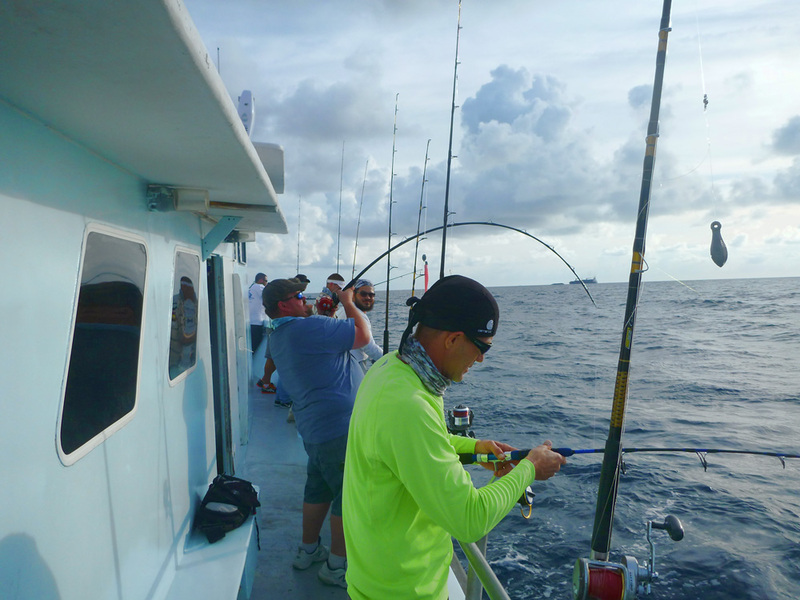 Many could not reach bottom as the current started to rip faster and faster as we went deeper, so the Captain told us he would move the boat to shallow water to give us a chance at snappers, more groupers and perhaps a chance at kingfish mackerel as well. It was now 1:40 pm when we were in 150′ of water and Robert got a very nice 6 pound Ocean Talley while fishing for king mackerel. 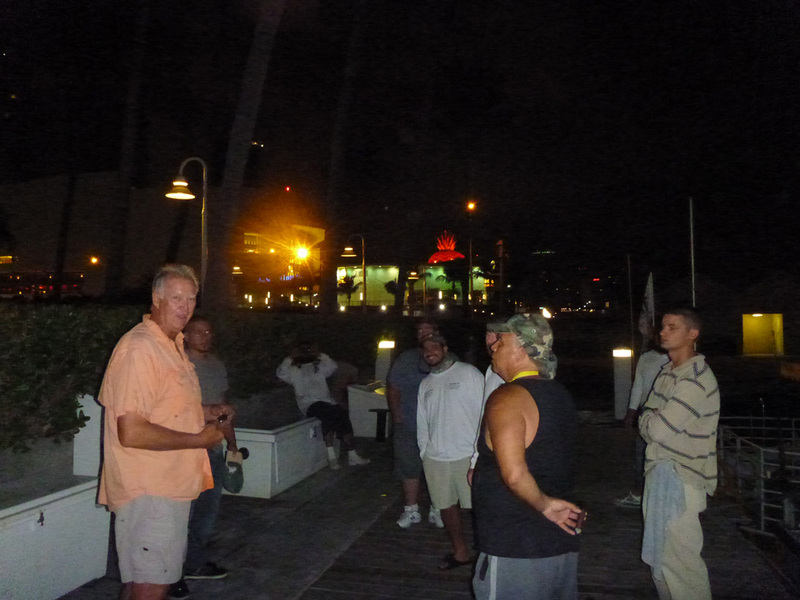 Some of the last to hook up to a fish on the trip were Richard and Peter. 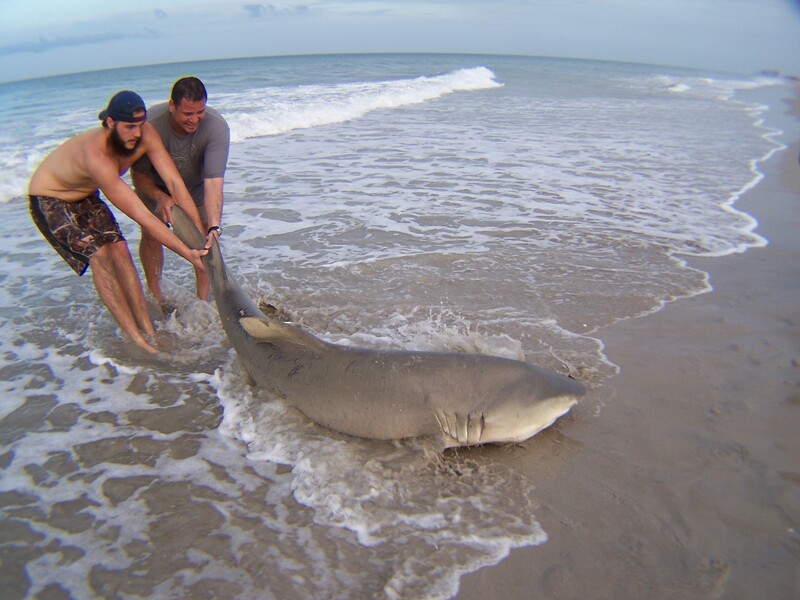 This happened at 2:10 and 2:15 pm when they hooked to a black tip shark. 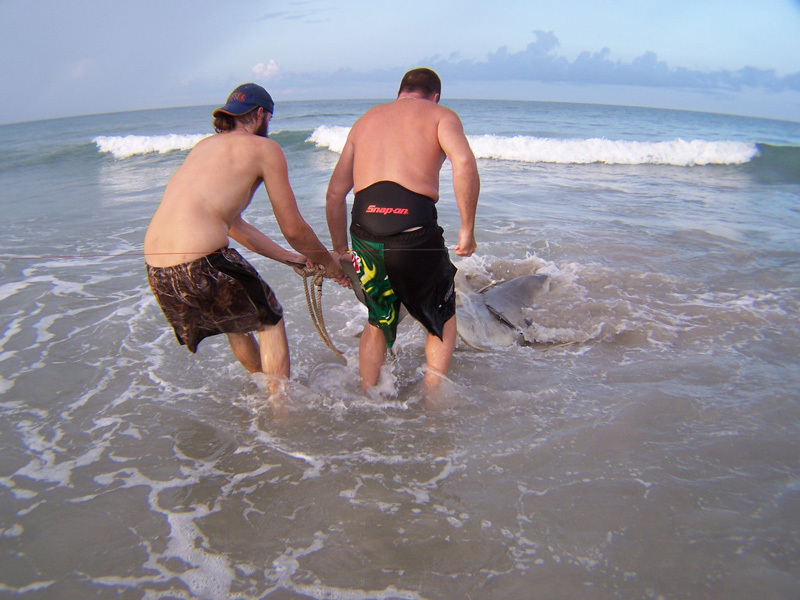 Richard fought one and as he was bringing it in it broke off, then Peter fought his all the way to the boat. They both did great on the fights. It was over, no more bites 3:00 pm was here already and some water spouts began to form. 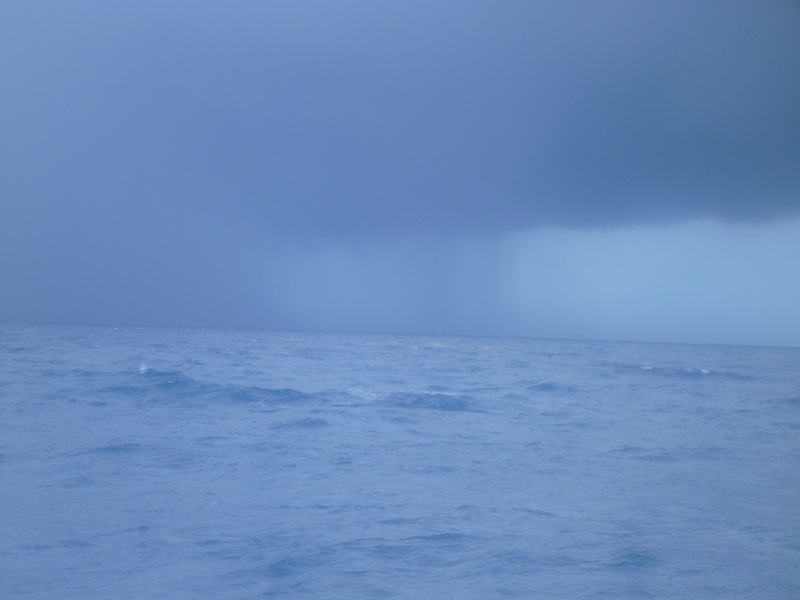 We got rained on and the Captain called it quits, we headed back to port. Again I stressed for someone to let the trolling line out and someone did but there were no takers. The water spout at 3:35 pm. Back at the dock the fish were laid out on the deck. And we took the group picture. The only thing we missed was the big amberjacks and bait to go on the kite, it would have been an awesome addition to this trip. But it was not needed as this trip was considered epic by some since many personal best were attained. I hope we can do this again. THE FISHING TRIP: Private Charter Boatlessfishing.com 10 Hour Fishing Trip. Weather Forecast: Cloudy with afternoon showers and thunder storms, Sunday SouthEast winds 10 to 15 knots. Seas 2 to 4 feet with occasional seas to 5 feet. The real weather was: Earlier seas 2 to 3 feet in the morning and 2 to 4 later in the day with occasional 5 foot rolling waves, cloudy skies and storms after 3pm. Water: Choppy and slow current in the morning strong currents in the afternoon as we got closer to Fowey Rocks Light House. Fish catches: Small Dolphins, 1 mutton snapper 12 to 14 pounds, 1 mangrove snapper,1 Red American Snapper, 4 Gag groupers 1 @ 21 pounds, 1 Snowie Grouper, 3 or 4 scamp groupers, 1 wahoo, almaco jacks, a couple of bonitos. 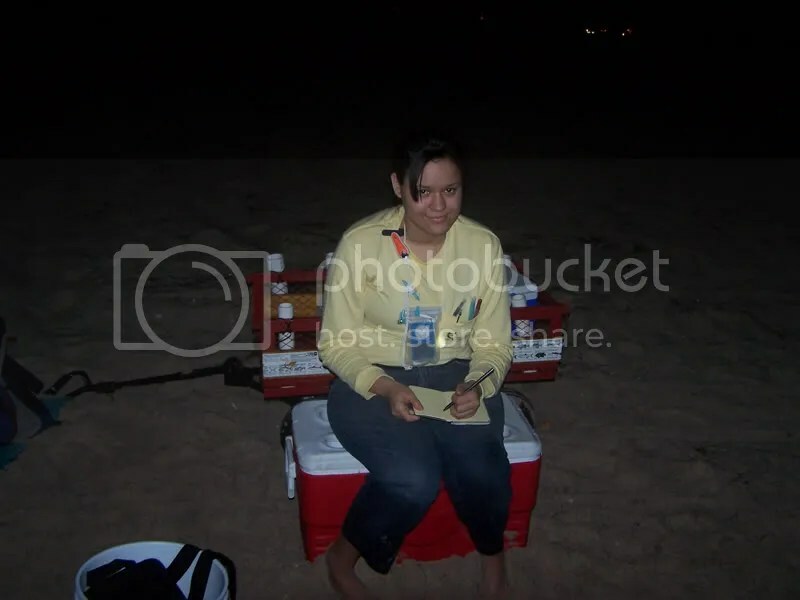 After not getting a single bite the first time I went out, we tried it again and we put the baits out right at the reef line, we got one hit and one hit only but it produced a nice lemon. As you can see on the pics she had been mating, she did not fight much at hook up so I thought it was a nurse shark, but then as she got close to the sand bar she peeled some line and I felt her power, but on the 14/0 it was just crank, crank until she felt the sand and all hell broke loose. 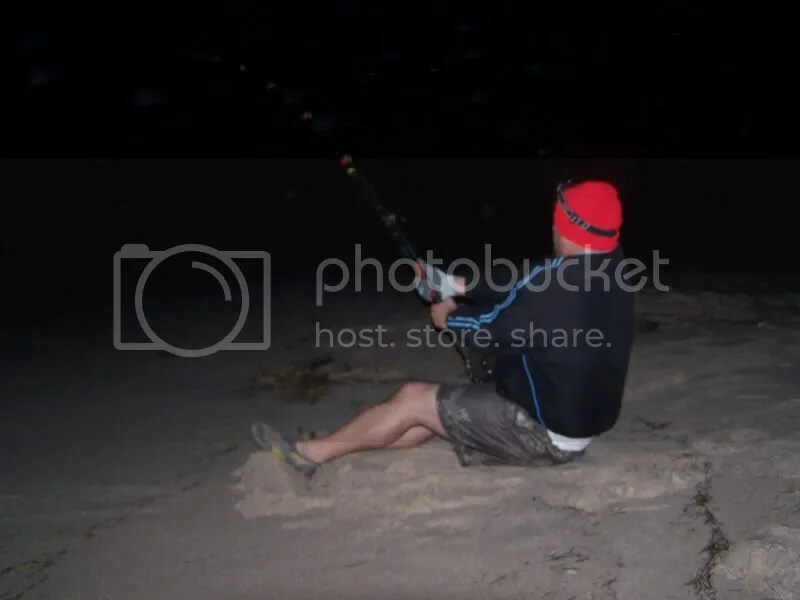 My drag was hammered to the max and having no one behind me to hold me down, she took a surprisingly fast run back to deeper water and pulled me in the air making me fall forward and making me eat some sand, LOL. 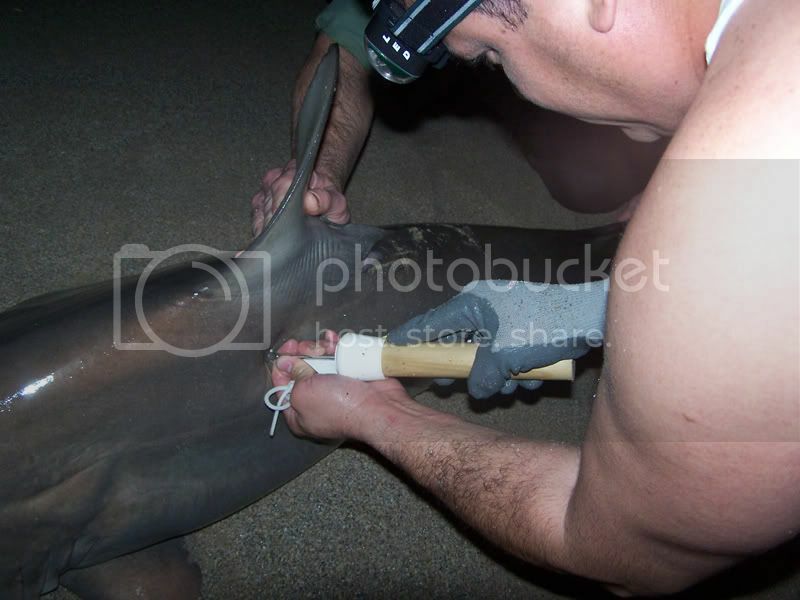 This has happened to me on a short rod as well, goes to teach us to always be aware of what the shark’s power is like ( I am 250 lbs and was lifted like I was 10 pounds). All in all it was a lot of fun until the noseeums came out in full cloud forces. Thanks Mark, family, and friends, it was great fun fishing next to you. 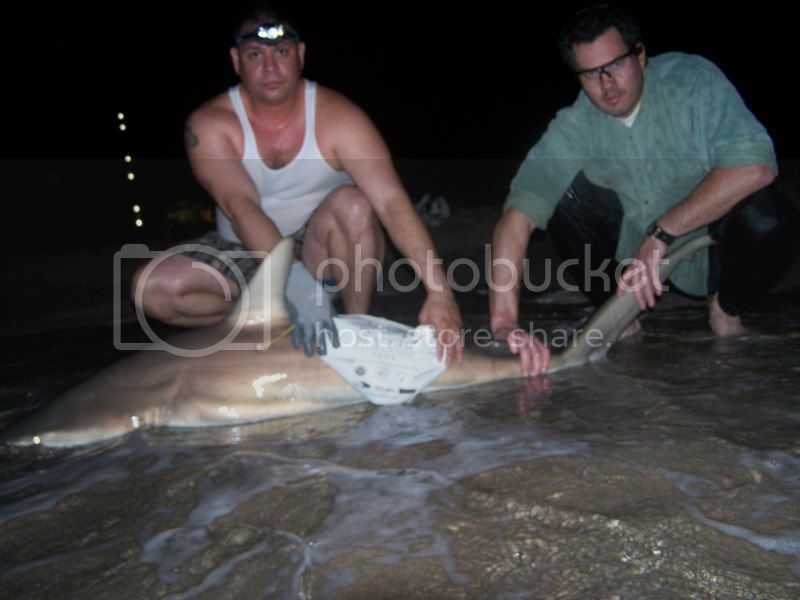 The overall length of the shark, it was 8’6″ but a very chunky one. If I would have gone over the hump and lowered her tail maybe a few inches more. 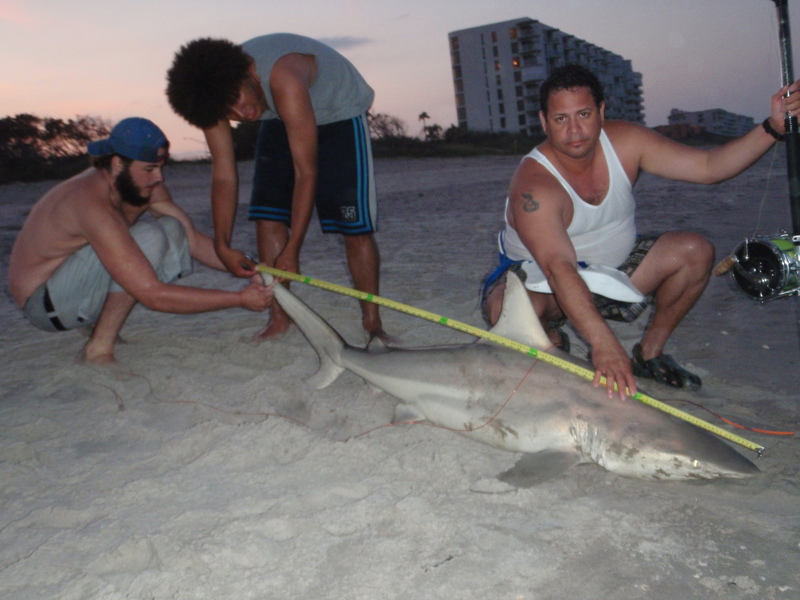 While fishing a Land Based Catch and release shark tournament with my team mates Luis, Brad, Alex , and my son Seth we had been going out fishing but had very bad luck in the first two weeks of April. 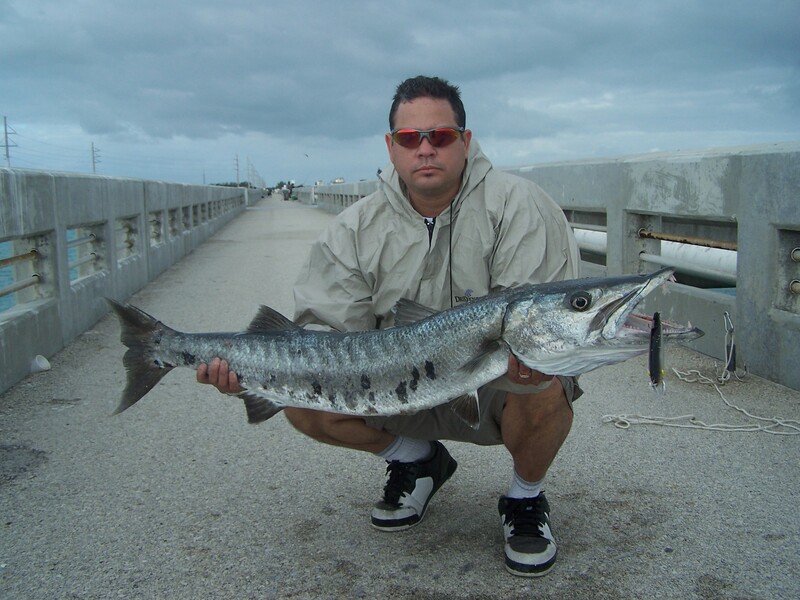 I started by catching some cudas and some in my group did an excellent job on collecting big baits from other sources such as charter boats. 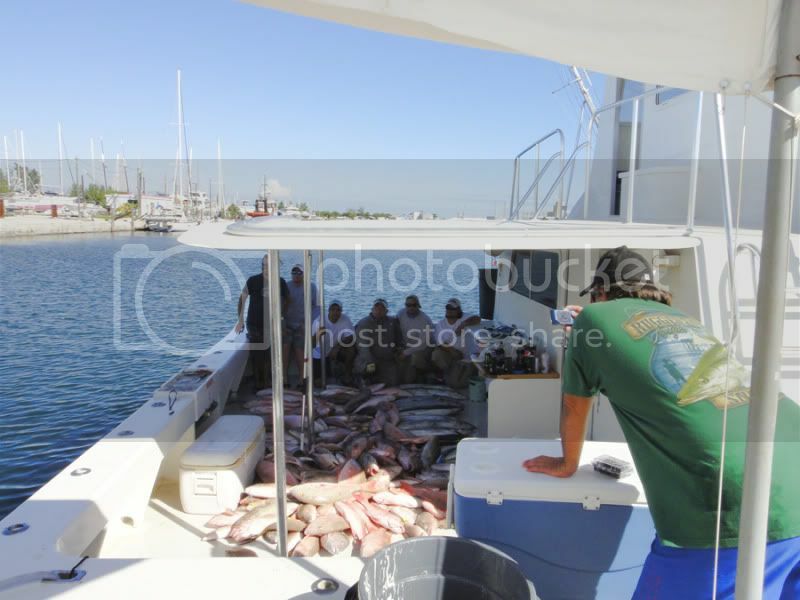 In this post we were fishing from the Florida Keys to Martin County, Florida. This is the kind of bait I like the most. 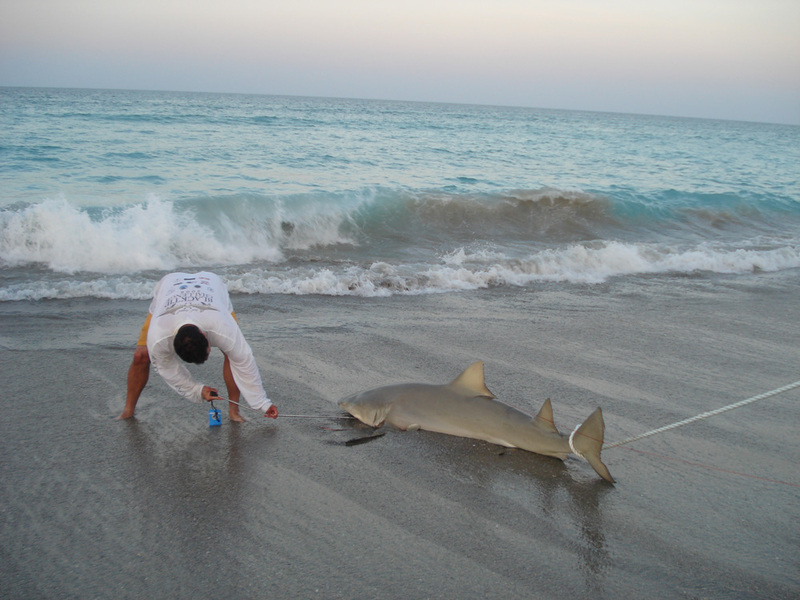 It did yield one blacktip from a bridge by Luis “picua”. A kingfish carcass yielded another blacktip from a bridge, and a dolphin fish carcass yielded a nurse shark. 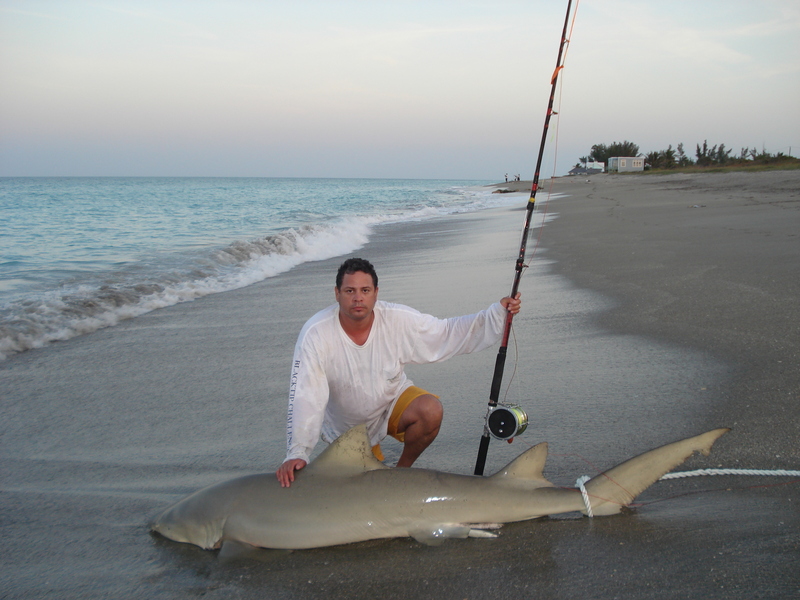 I got a decent lemon also, and then another blacktip on a jack crevale fish belly (10 lbs chunk). 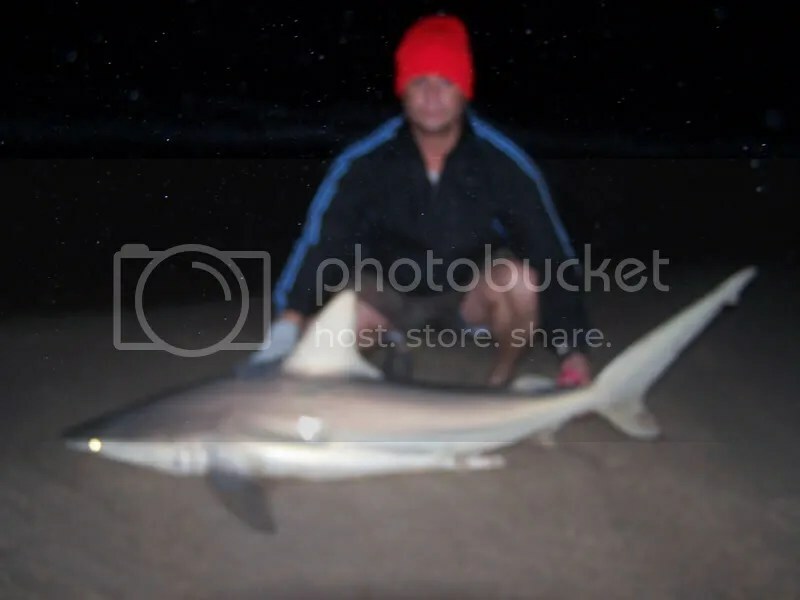 On the first trip (first week of April) the goal was to catch a big shark so we used whole bonitos and big chuncks of Jack crevale fish, big enough to not allow smaller sharks to take the whole thing. 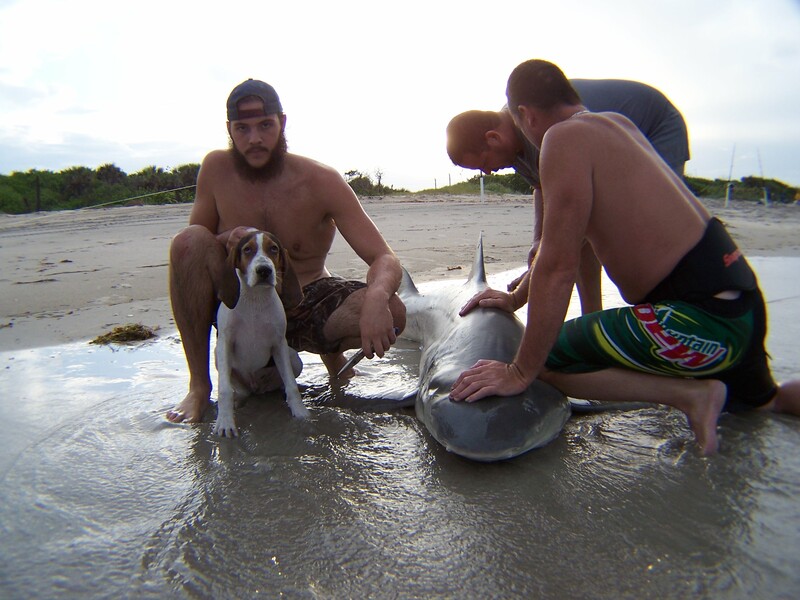 Since we were using big baits we lost 3 sharks that day as we were getting prepared to leave I decided to leave the rods for last and pack the kayak first and then the coolers. 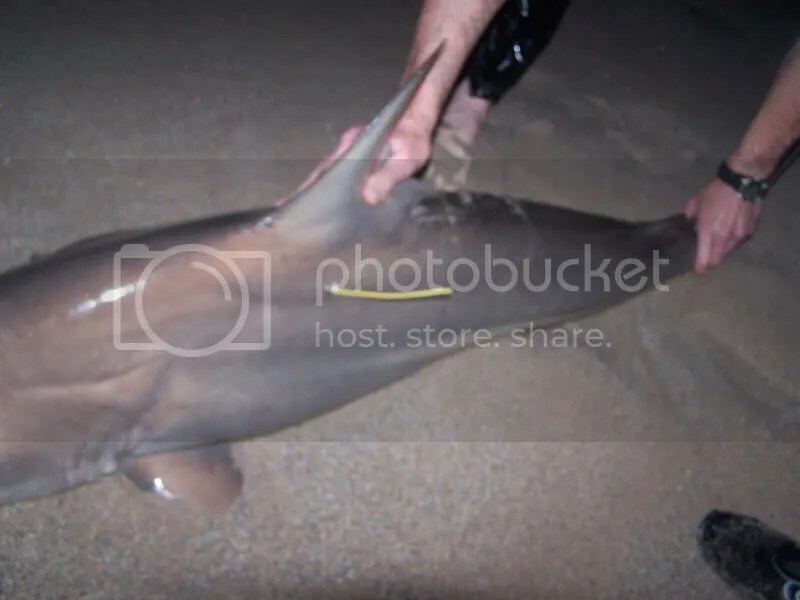 On the 12th hour of waiting for something I was putting the stuff inside the truck and getting eaten alive by the noseeums I then heard a bunch of screams, THE ROD, THE ROOOD!!!!! It was on, had a bit on my rod. 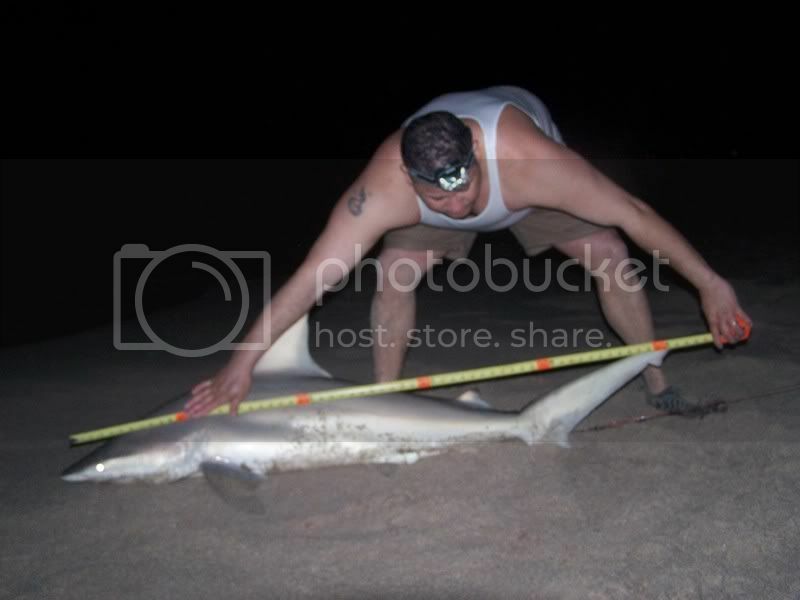 I rushed to it and inmediately set the hook, I spiked the rod in the sand, and sat behind it to fight the shark, it was a big 8’10” male lemon that hit my bait. I rigged using a 20’ homemade 250 lbs test red line wind-on leader, a 950 lbs American Tackle swivel and 4 to 5 feet of #19 single strand wire with an 11/0 hook. As you will see the red balloon that popped is what I use to keep the bait at mid (it is just slightly inflated and at the end of the wind-on leader) then I tie a rock with about 10 feet of string. 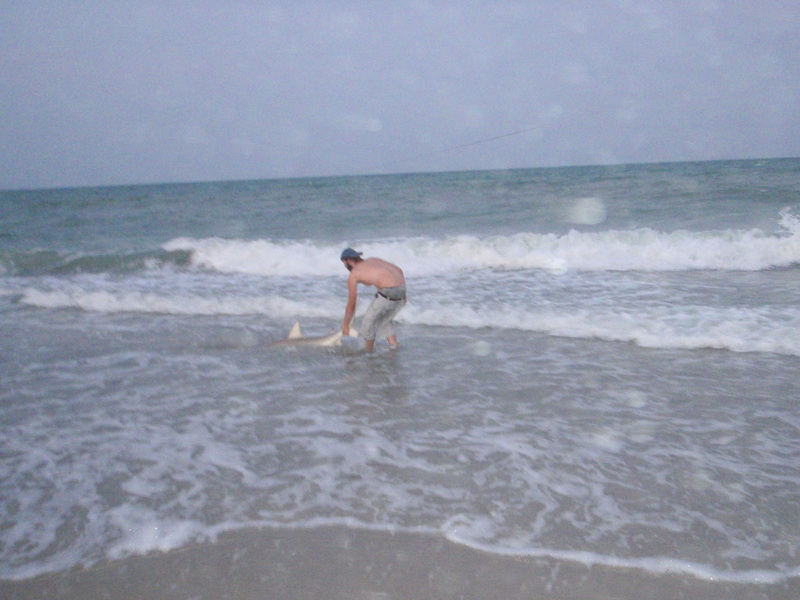 After that it was my turn but I got hit quick so no pick of me fishing the whole, it ended being another blacktip. 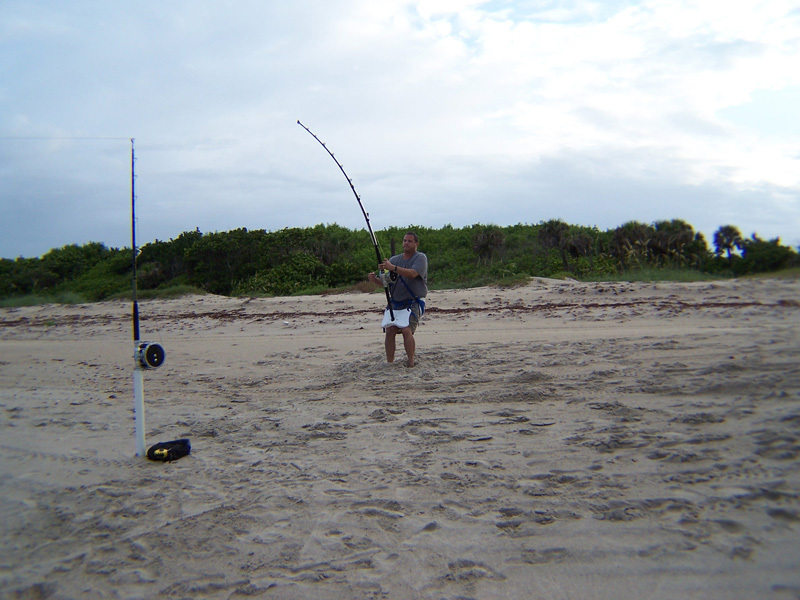 I didn’t fish Wednesday and since on Thursday night the seas were 2 feet or less I went out hoping to get some big baits….I placed a whole stingray at about 150 yards out on the 14/0 but nothing but crabs hit it. 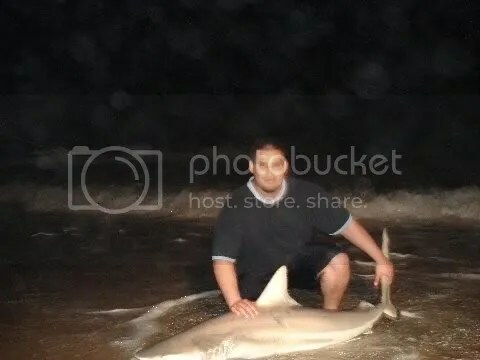 Then I took my second big bait out on the 12/0 and as I was kayaking out saw a few Black Tip sharks so I placed the bait about 50 yards from them hoping the current would take the scent out from them and get a bigger shark species and then I threw a bait of my 6/0 in the first gut to have fun with the tips while I waited for the big bite. 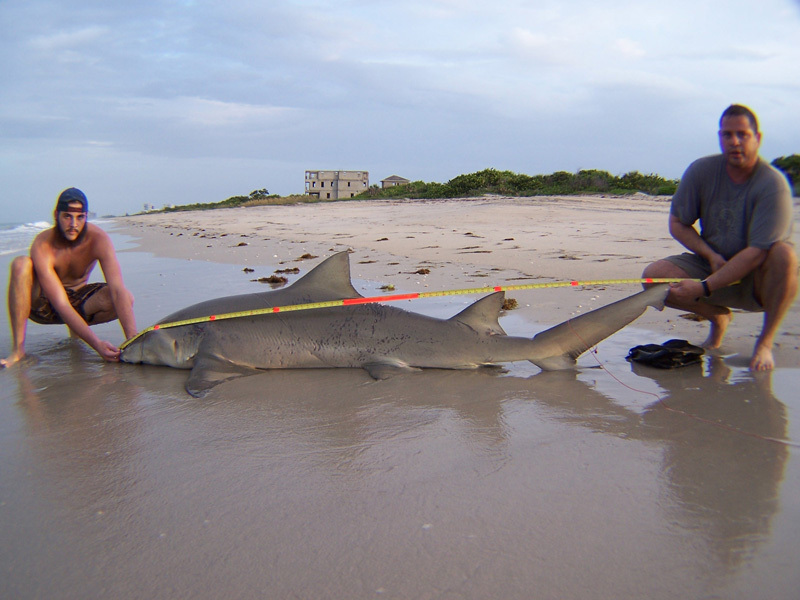 Went out on Sunday Feb 8th 2009, took my 3 hour drive to one of the designated boundary areas of a land based shark tournament, on the way I got a call from Josh (the tourney director) who told me that the sharks were about 1 mile from where I would normally fish so I went to that spot and got there at 6 p.m.. There were about 15 others fishing the tournament all called by Josh and they were all trying to cast their baits out as far as they could or they tried to get the kayak out as well. It was great to fish with them especially with Pete and Maneater (other tournament competitors) which I camped right next to, sorry people but that beach is long, and I did not want to walk too much I hate walking long distances on sand, and there was indication for a nice drop very close to the beach, normally a “V” shape cut into the sand where the current is a bit stronger. 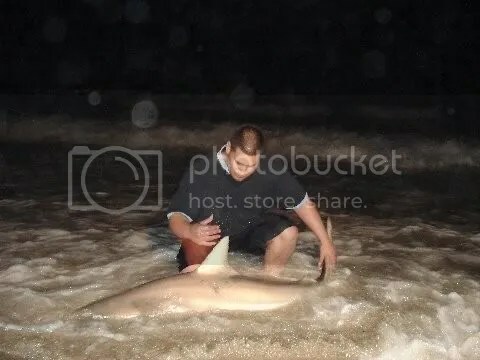 I placed my kayak on the ground and thought to my self; “why would I kayak out big bait just for it to get hit by sharks that are swimming in the first gut? No need to go out that far” So I did it again, I walked my bait out into the water and threw the brick with bait a few feet in front of me. 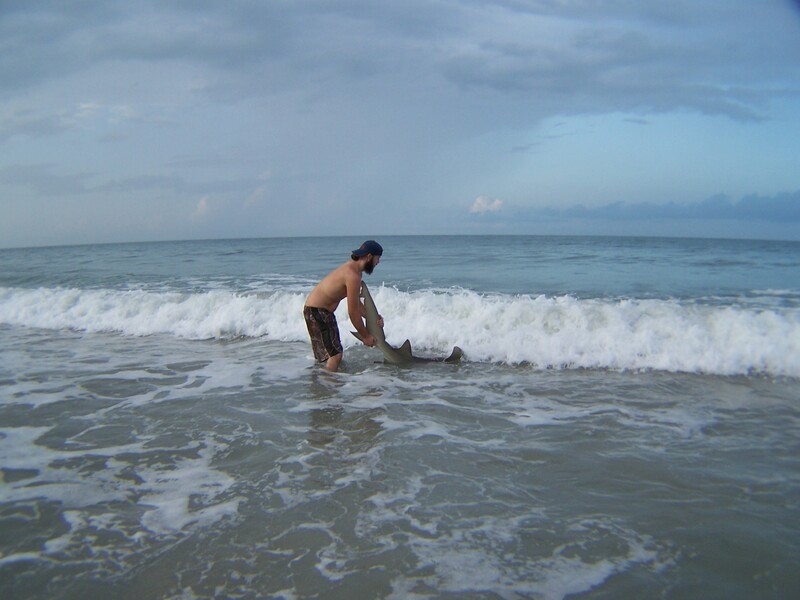 The sharks are already there! 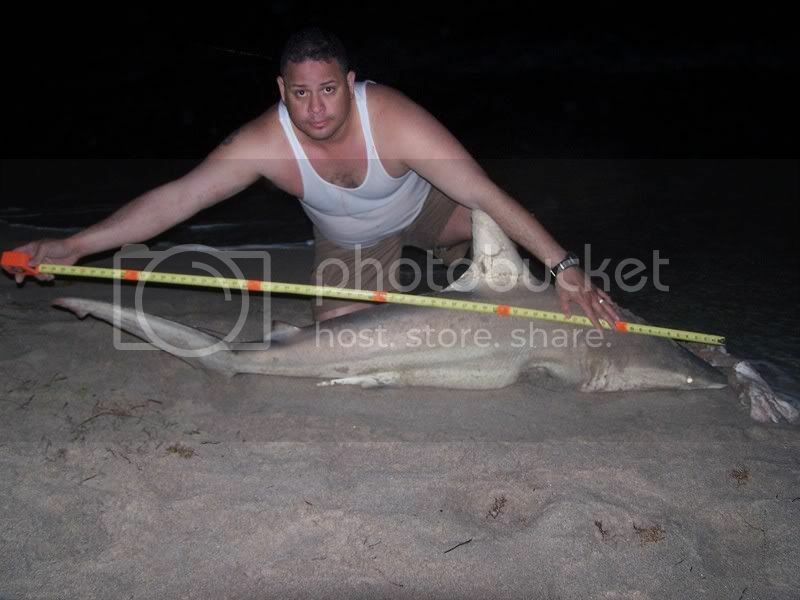 They come to patrol the beaches to eat baitfish. 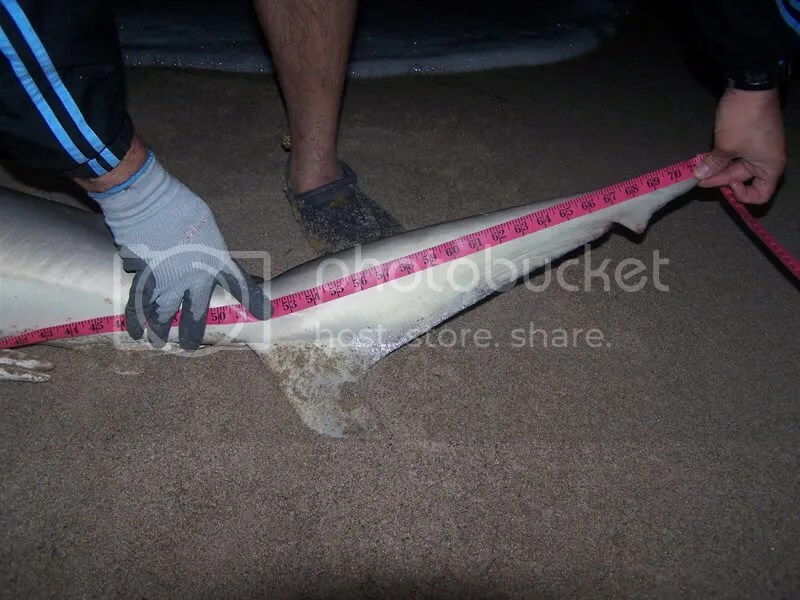 They normally use the first and second gut of the sand bars to travel and the first gut is where you walk into the water and all of a sudden it goes knee deep to waist deep. Of course people were like WHAT THE F#(% ARE YOU DOING MAN? 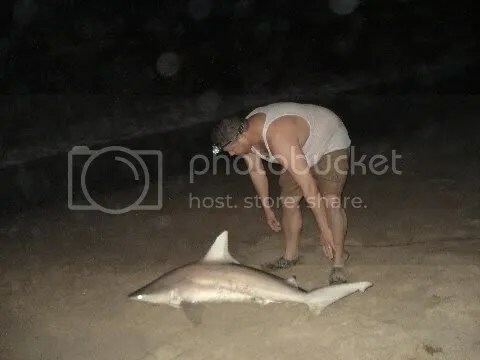 And I told them “just getting the bait in the first gut” this is something normal for people in shark fishing sites, some do it all the time in the Keys… Well, a few minutes later and zzznnnnnnnn a 71 and ¾” Black Tip Shark on the line, winched it in, tagged it, and released it. 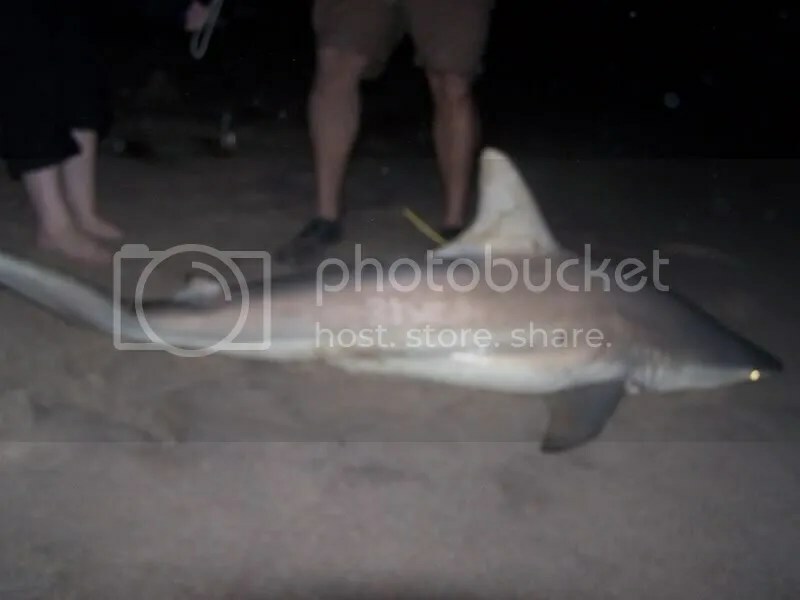 Most people started to toss their baits out into the gut and then we were all on, at one point there were 5 sharks on and all were landed just about the same time. 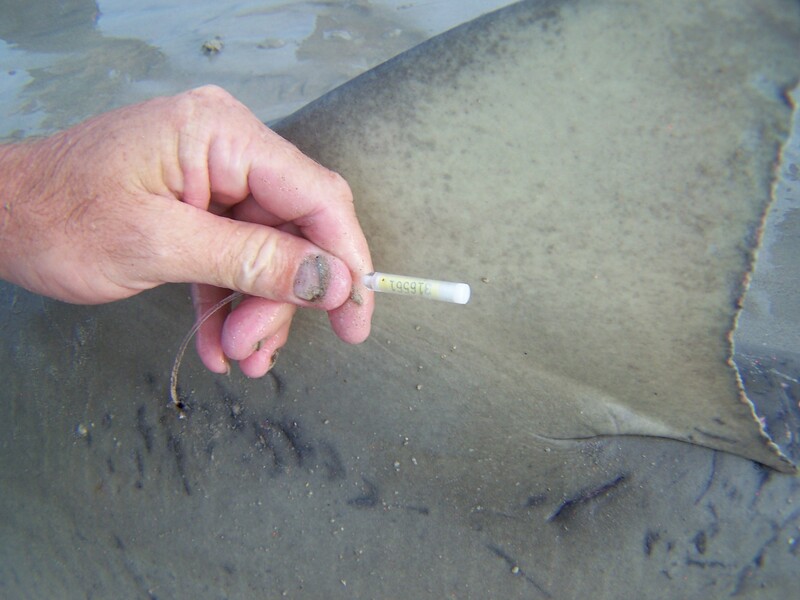 Many of us lost a few since the sharks were just carrying the baits in their mouth and were not actually biting it. 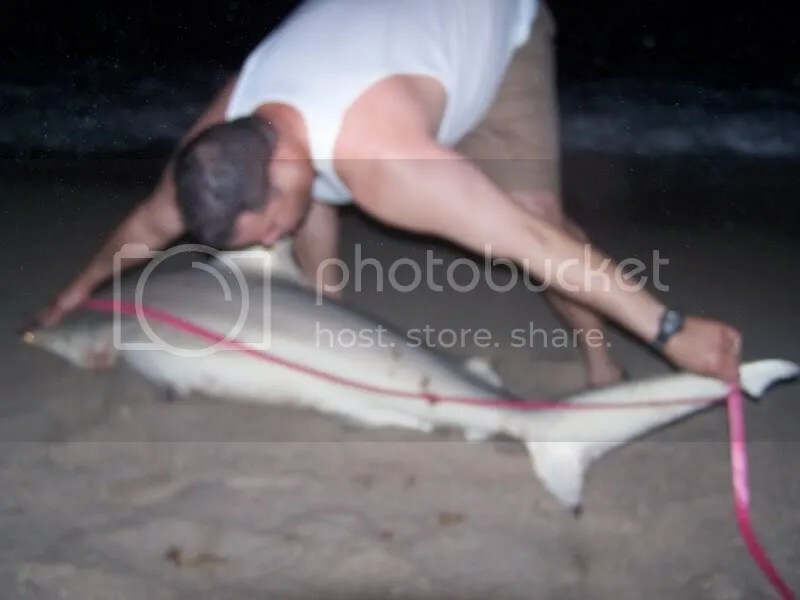 After fishing 4 hours I left as I had to take the 3 hour drive back home and be ready for work at 6:00 a.m.
On Monday the 9th I called my buddy Alex who has been trying to get on a shark for a year already. He was there the night before and did not get a single hit. He did not want to go and was almost ready to quit trying. I spoke with him and asked him if he was wearing any lotion on his hands and then handled the bait? 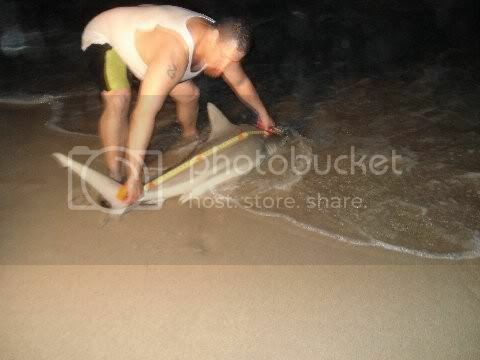 I found it weird that for all this time he has not being able to hook up on a shark. Low and behold he did not admit to the lotion but did say he was wearing cologne and told me that next time he would wear gloves to handle the bait. 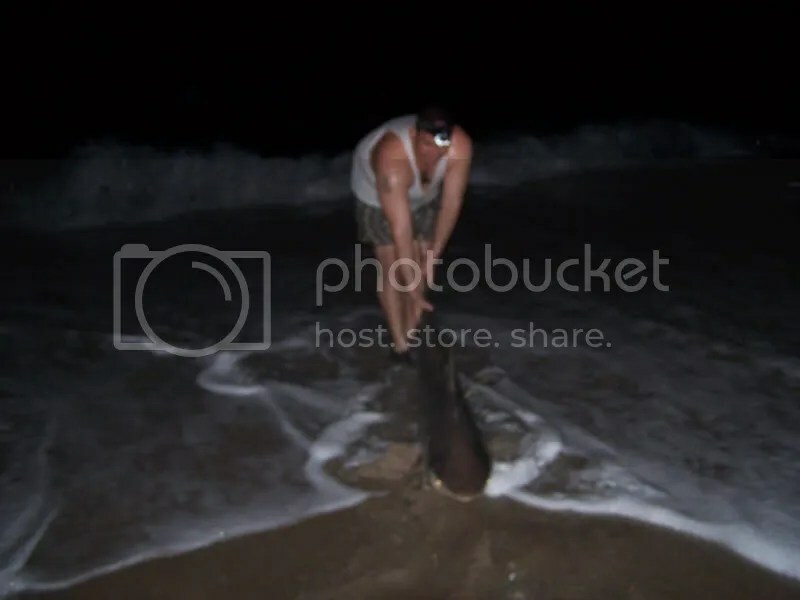 So after talking to him I convinced him by telling him that the chances for the sharks to hang around for another night were good and we would get there at the top of the high tide and would be able to get the scent out as soon as the tide started to go out. So we had to be there at the right time since I had to drive 3 hour fish for 2 hours and head back home. We got there and I tossed my first bait out and I helped my buddy with his bait selection. 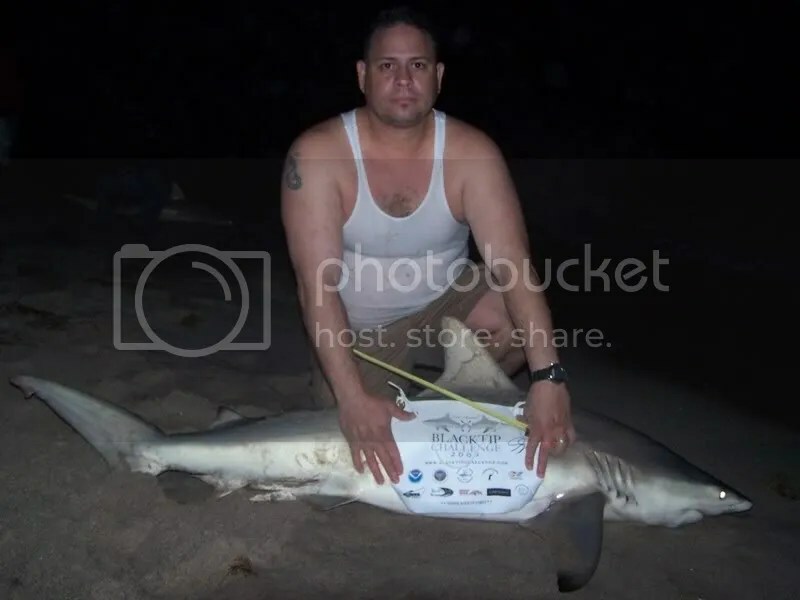 I had already explained on Sunday where to toss the bait and he also practiced bringing in a shark with a heavy rock, LOL….he dropped his bait and a few minutes later zzzzzznnnnnn he gets his first shark ever on his 6/0, 50 lbs test line, and 5 foot rod. 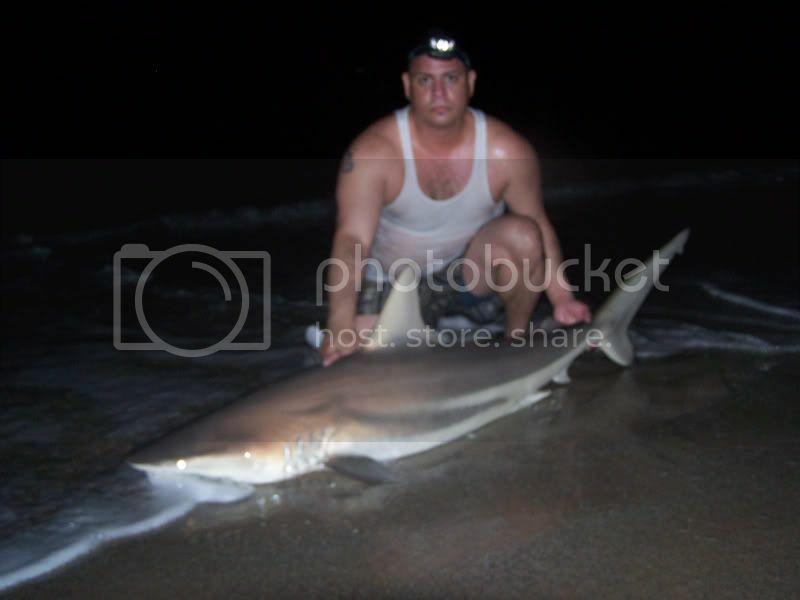 It was a nice 69.5” total length, 56” fork length, and 35” girth black tip estimated at 85 pounds Black Tip shark, great for a first shark. 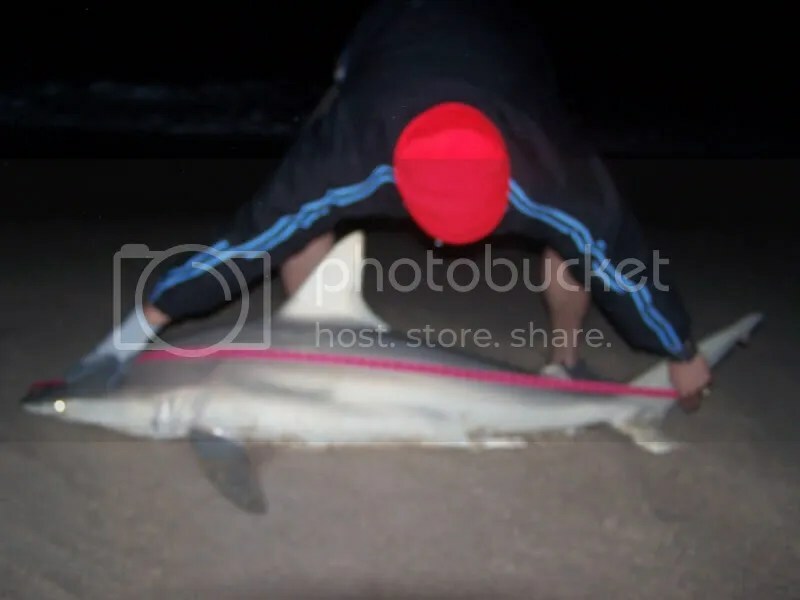 I grabbed it by the tail and brought it in, measured it, tagged it, Alex took his proud pic with a smile from ear to ear and a “I CREATED FIRE” attitude (proud), I then released the shark. All this happened while the Paxton brothers were filming, it was nice to meet them as well. Great handling Alex you did a great job. Below it’s the small fight. No need for harness here just the good old sand to make a comfortable fighting chair.